The legal skirmishes continue in New Jersey, where the parent company of Monmouth Park Racetrack, the New Jersey Thoroughbred Horsemen’s Association, has filed a claim for damages against the five major United States sports associations that opposed Monmouth Park and the State of New Jersey in the lengthy PASPA case. Monmouth Park’s plans to roll out sports wagering at the pari-mutuel facility were stymied by the US leagues’ lawsuit, and now the racetrack is seeking more than $150 million in damages. Amid the broad, sweeping claims made by Monmouth Park, the issue of daily fantasy sports reemerges — highly cited as an exceptional example of “selective enforecement” of PASPA by the leagues. According to the track’s legal filing, language within PASPA expressly forbade the type of wagering that constitutes DFS, which has encountered varying legal opinions on a state-by-state basis over the past couple of years. The Leagues’ quest to prevent Monmouth Park from accepting bets on the Leagues’ games and the games of others first began in 2012 and did not stop until the Supreme Court’s May 14, 2018 decision forced them to do so. 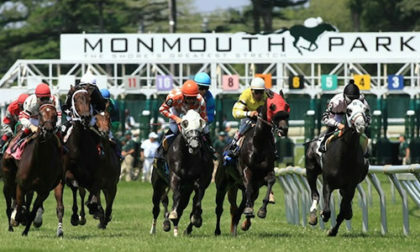 During the intervening years the Leagues’ actions nearly put Monmouth Park out of business, inflicted significant financial and emotional hardship on hundreds of innocent Monmouth Park workers, and jeopardized the continued viability of New Jersey’s entire equine industry, including its many horse farms and related open spaces. The Leagues succeeded in blocking Monmouth Park from conducting sports betting by relying on what the Supreme Court decided is an unconstitutional statute and by submitting ten false sworn statements. Those statements — two each attributed to the commissioners of the NFL, NBA, MLB, NHL, and the president of the NCAA — were on the general topic of the supposed evils of sports wagering, and the how and why of how the leagues must be protected from such activity. Monmouth Park’s claim for damages terms the statements as “sanctimonious”, and alleges that the leagues were supporting sports-betting activities all along, despite their claims to the contrary. And that’s where the DFS battle again enters the picture. Even though betting on the “performances” of “athletes” was prohibited by PASPA, the Leagues did nothing to enforce PASPA’s prohibitions against fantasy bets being placed on their players’ “performances” in the Leagues’ games. To the contrary, the Leagues aggressively promoted – and even own – businesses that make millions from bets made on the “performances” of the Leagues’ “athletes” in the Leagues’ games. Before they were stopped by the Supreme Court, what the Leagues successfully accomplished by selectively enforcing one prohibition of PASPA while ignoring another was to wrongfully block Monmouth Park and “anyone else” from accepting sports bets not only on their own games but all sports contests conducted by “anyone else,” anywhere. This secured for the Leagues, until stopped by the Supreme Court, a lucrative dual monopoly with Nevada on worldwide sports betting involving every sports contest anywhere. And, in the process, inflicted significant damage on Monmouth Park. Though the rival gambling state of Nevada is thus named, it’s the leagues’ behavior that has Monmouth Park wanting compensation. In 2014, when the five sports associations jointly filed suit against New Jersey to stop the state’s “Christie II” law from taking effect, the leagues had to post $1.7 million in bond against possible future damages. That was later doubled, to $3.4 million, but Monmouth Park wants much, much more. According to an analysis done for Monmouth Park by OPR and LSR publishernd Chris Grove, Monmouth Park has lost an estimated $149 million in profit since October of 2014 due to being blocked from offering sports betting by the leagues’ legal efforts. That’s way behind the posted $3.4M bond, but the racetrack claims the leagues’ bad-faith conduct justifies the hefty punitive damages. Monmouth Park will also be seeing interest, attorneys’ fees and court costs, and has filed for expedited discovery in the matter. Many documents from the earlier “Christie I” case were sealed, and the filing seeks access to those as well.